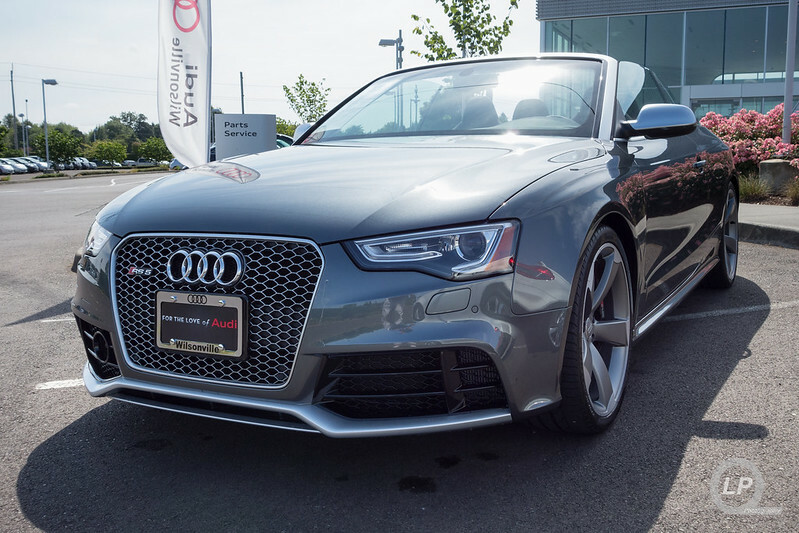 While at work on Friday, I found out that there would be a surprise waiting for me down at Audi Wilsonville on Saturday. What that surprise was, was the chance to drive an Audi Exclusive Nogaro Blue Audi RS 5 coupé that I had done a photo shoot for back in June. To say that I was shocked was an understatement. I went down to Audi Wilsonville after my usual Saturday morning stop at PDX C&C and, first, helped Josh, one of the Audi Brand Specialists, make some requested tweaks to his Black Edition black S4 using VCDS. Once that was done and waiting for Josh, I had a bit of time to take photos of an RS 5 cabriolet that was there. A few moments later, Josh and I walked out to the RS 5 and he handed me the keys. The last time that I got to see this car, I didn’t get a close look at the interior. The exclusive RS 5 has the RS-specific Carbon Fibre inlays and black sport seats with black Alcantara inlays. Sorry, no interior shots as I left the camera in my backpack for the entire drive. For the first few minutes, nervousness and anxiety of driving such an exclusive ‘bahn-burner coupé made me drive quite cautiously and almost grandpa-like. After chatting with Josh while driving, that wore off and I started to have more fun with the car and drove around Wilsonville. I absolutely love the sound of the rev-matching downshift and pop, along with the amazingly quick and crisp shifting that the S Tronic dual-clutch gearbox affords. As much as I love rowing my own gears in my S5, I would not complain about the lack of a stick. Speaking of that pop, the sport exhaust just makes the quick and high-revving V8 sing a near pitch-perfect siren song. The only thing that I would have like a bit more was if more of the exhaust note made it into the cabin; particularly, while putting around or at cruising speeds. For a car tipping in at just over the 4,000 pound mark (4,009 to be exact), the combination of the quick-revving engine and the S Tronic gearbox helped make it feel a bit lighter than it really is. Around some of the turns, the nose-heavy weight distribution did rear its head; but, the rear-biased quattro setup mutes it while accelerating just out of the turn. On the way back to Audi Wilsonville, I was able to open the tap a bit more as I accelerated past several cars on the freeway. At 7,500 RPM, the engine is just about reaching full stride, the exhaust note is heavenly and was taunting me to tap out at the 8,500 RPM redline. Unfortunately, I had to take the next exit and didn’t get to touch it… maybe that’s a good thing. At that point, my stint in the RS 5 was over and fell in love with it. It was absolutely, unbelievably awesome to get to drive such an great piece of machinery, much less a gorgeous and exclusive car. It definitely made it hard for me to get into my S5 and drive home. I’ll have to find a way to make it up to it, after the brief affair with the RS 5. Speaking of which, I’m still not entirely sure it has fully forgiven me for the test drive of the R8 V10 in Chicago and the weekend with the R8 V10 for my #WantAnR8 weekend. 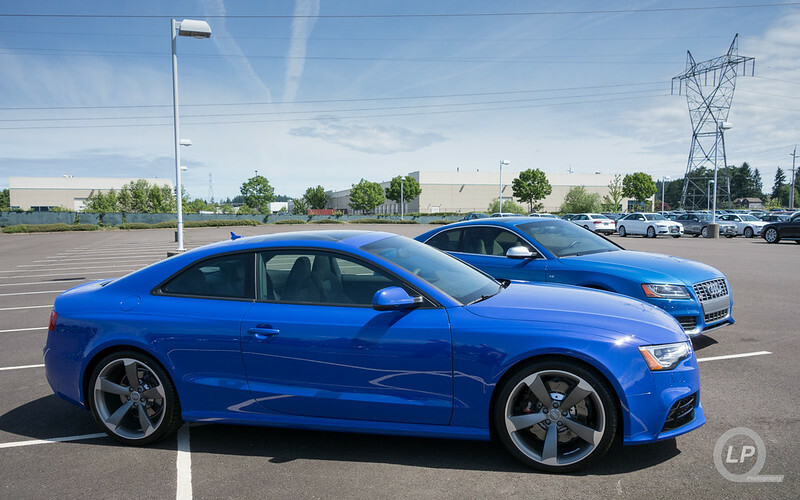 I cannot thank Josh, Scott and Audi Wilsonville enough for letting me drive the car. It helped melt the pent up stress and frustration that built up over the past few weeks at work. 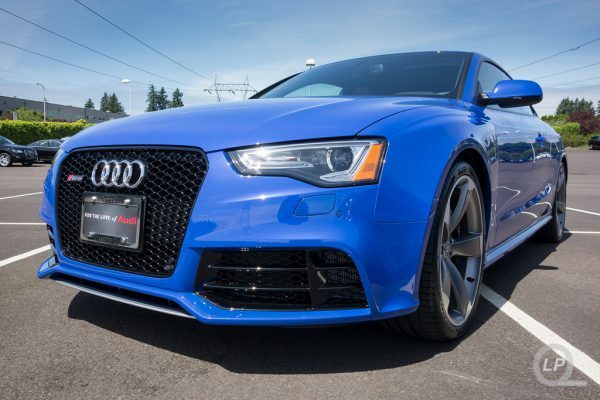 For those interested, the exclusive Nogaro Blue RS 5 is available for sale at Audi Wilsonville. To find out more, check the out the listing on their site. 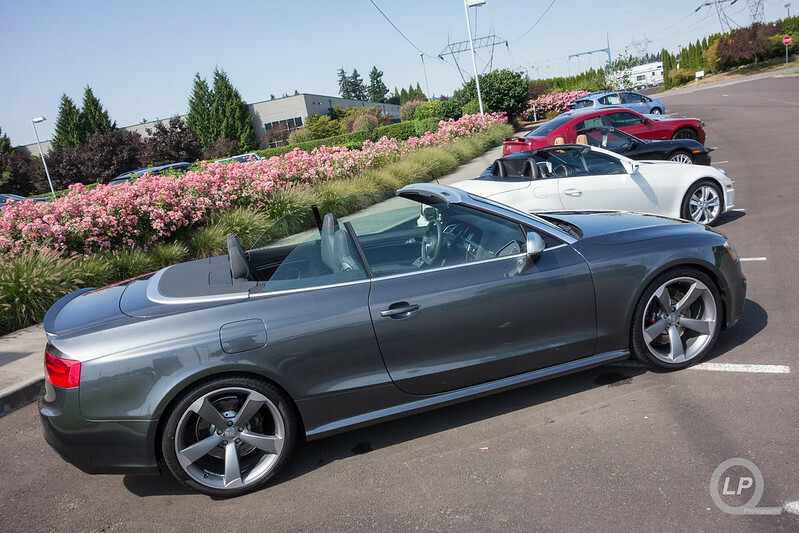 For additional photos from my visit to Audi Wilsonville can be found in the “10 Aug 2013 Audi Wilsonville” photo set on Flickr.